Everything fantasy football from dynasty to DFS with your favorite fantasy experts, the Fantasy Sports Nerdz! Check us out at FantasySportsNerdz.com! 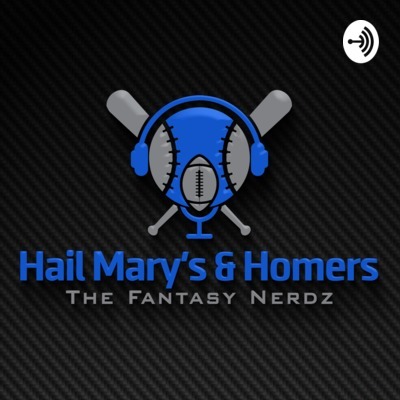 Episode 4: Auction Drafts & Fantasy Baseball Playoffs! A little anecdote on auction drafting as well as two big aging names going in different directions! Episode 3: Re-branding & this little thing called FOOTBALL! Football season is upon us! In this episode, we attack some draft strategies and who should go 1.1! We also re-branded the site! Episode 2: The Brand New Name! We unveiled the brand new name of the show! We also went over some of the big trades across MLB and 2-start pitchers to start/sit for the week! Episode 1: All-Star Game, meet Washington DC! The very first episode of The Fantasy Nerdz podcast! We talk MLB trade deadline and All-Star Game festivities and how it all relates to fantasy baseball! The trailer for the inaugural podcast brought to you by the team at TheFantasyNerdz.com!